The original signature and addresses of the witnesses are included in the file. 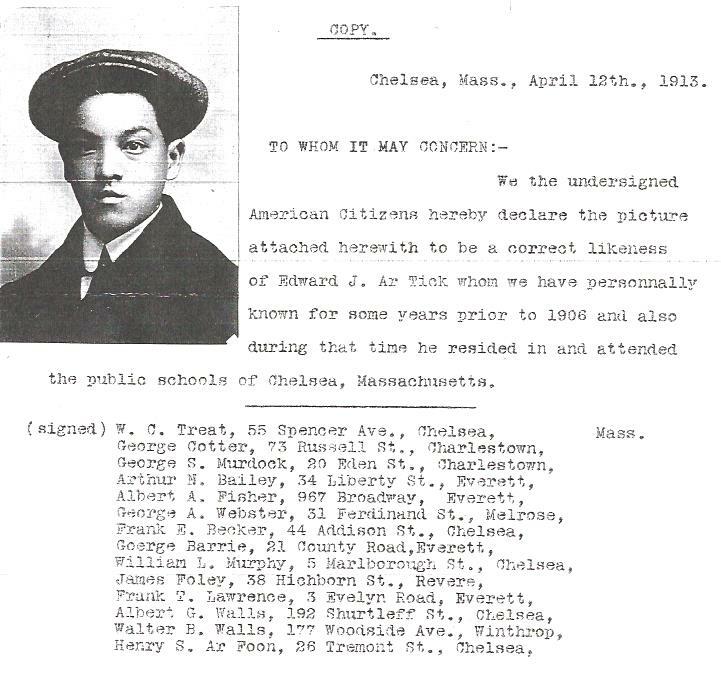 Another list of five people who were school mates of Edward J. Ar Tick is also included. Their names are Arthur R. Busteed, Franklin A. Cline, Frederick R. Whitcomb, George E. Winsor, and Warren G. Laughead.